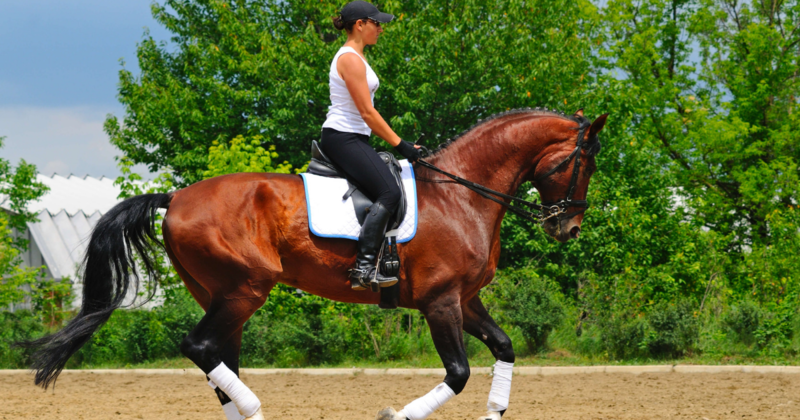 Posture is one of the most important elements as an equestrian. It is one of the defining aspects of helping us stay upright and mounted on our horses. Without good posture, many of us would be sniffing up dirt out in the fields or in an arena. 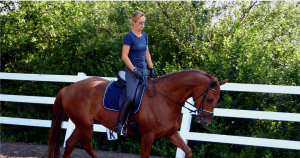 Dr. Beverley Marr, an avid equestrian since childhood, knew the importance of having excellent posture (and how most of us suffer to have it). As a practicing chiropractor she went on a mission with her husband Dr. Chris Sova to develop a device that was medically effective to help equestrians with their spine and overall back health. “PurePosture” is Dr. Marr’s creation: a beautiful wooden device that helps to realign the spine in as little as seven minutes a day. Patients lay on the wooden board with wooden risers against their spine. Slowly the patient moves up the board and the device helps to correct, drop and lengthen vertebrae that are stuck and need realigning. The body of the individual adjusts to the board as it is “true” and “plumb” where the body can’t manipulate the device. It is a safe and a natural way to help improve posture and relieve pain. “We invented this product for back pain relief. It wasn’t originally invented for people to stand up taller and better. When we were testing it (which took two years) we tested it on hundreds and hundreds of people. We went to big health/sporting events and asked people to try it. We took before and after photos to document our results as well as using a laser measuring device to document original height and the testers height afterwards. No one was more surprised than my husband and I were as each person showed significantly improved posture and increased their height. At that time we didn’t even have a name for the board and we ended up calling it PurePosture because of the results,” Marr said. Before Dr. Marr was willing to bring the device into their practice, there were three criteria that had to be met; do no harm, effective at pain relief, and was easy and comfortable to use at home. Marr knew that people are more likely to use a product if it produced results and was simple to use. She also knew people were more inclined to use a product if it is visually attractive. Marr spent time helping her husband design the product to look beautiful so it would be part of the decor rather than hidden under a bed. When PurePosture began to hit the market, Marr had to make a decision on whether or not she would continue working in her practice full time or run full steam ahead with PurePosture’s business. “I thought ‘how hard it could be to start an e-commerce site?’ January 2016 is when I decided to devote my full attention to the business. Two weeks in I felt absolutely screwed. I thought I was more prepared to tackle my business then I really was- I learned that I didn’t have enough computer skills, nor knew the right questions to ask when I was with IT professionals. I spent 3 months training with two computers on my lap. It turns out, I didn’t really understand e-commerce at all. I thought you simply threw money at Google to appear on the ranking pages and you just post things on a site,” Marr said. Marr had a tough time initially learning the ins and outs of running an online business. With plenty of trial and error and Youtube, Marr found her footing in the e-commerce world. Her biggest online tool is Quora where she is an expert on three ranging topics. Here she helps answer questions on posture, riding a balanced seat, and improved athletic performance. “One of the toughest things I had to change was becoming a better writer. I was so used to working on patient notes that composing blog posts was a real struggle for me. Every blog I wrote initially was really tough, grinding away to create content,” Marr said. Once the e-commerce hurdles had been cleared, Marr began attending equestrian events to help showcase PurePosture. Many of Marr’s patients were equestrians and she saw both the damage to the spine and improvements that needed to be made to attain and maintain good spinal health so riders can continue the sport they so dearly love. 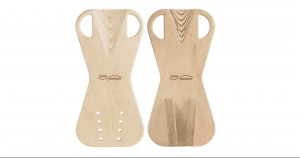 She thought if she could connect her product to riders, she would have a perfect demographic to help further launch PurePosture. “I had been riding my whole life and the first people I know we had to reach were the equestrians because they are always being injured. Even on a small horse you are about 6 feet off the ground. There is a ton of bending, lifting, and heavy physical work involved with horses. Riders usually spend 15+ hours a week working with their horses which includes heavy work from barn duties. You go from a reasonably sedentary lifestyle to hard physical labor and this gives people an easy opportunity for injuries. Farriers are another group of people who are prone to back issues. A friend suggested I go to Equine Affair in Springfield MA and that’s where we sold every single board we brought with us. We sold a board to our first Olympic rider there as well,” Marr said. “When the sacrum and the hips are off, there is twerking of the torso which means you are rotating your upper body making it difficult for the horse to go correctly. When you have good posture, poor posture doesn’t feel good to you. Horses feel the exact same thing. If you are heavier on one side, the horse will shift his body to accommodate that weight. Dynamically this is complicated for the horse. A good example is the horse finding it difficult to pick up the correct canter lead. Riders excuse this away as the horse is “back sore” or “he doesn’t move well” and that’s not always true. It depends on what we do to influence the horse and posture is one of the biggest ones,” Marr said. PurePosture has delivered almost 2000 units since its introduction to the public marketplace. Due to the high quality of the product, it’s hard to keep in stock. Every piece is made in the USA with production in Connecticut. “When people look at me and say “you are doing an awesome job’, I don’t always feel that way, but it’s important to look where you started, where you are now and how far you have come. 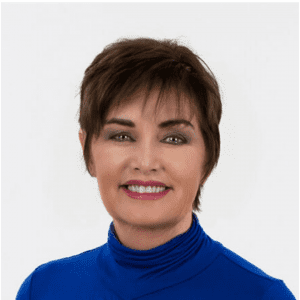 It takes time to see the fruits of your labor, but a no-matter-what commitment to the goal, a belief that you can do it, and hard work was the best advice I received when launching my product and business,” Marr said. You can check to see if Pure Posture is at a local event near you or visit them online at www.pureposture.net.